To get in touch with Yoel regarding Goalkeeper training or coaching in general please use the above contact details. Yoel is the Sunshine Coast Futsal Goalkeeper specialist, however he also has plenty of experience in coaching representative teams also. Yoel Jogiono has many years of experience in futsal as both a player and a coach, despite his young age. He learnt about futsal when he moved to Australia in 2006 and fell in love with the sport straight away. The quick nature of the game and high technical ability required to move around the pitch is what drew him to the sport. Yoel has played for Queensland on numerous occasions as a junior, before taking a break for a couple of years due to injuries. In 2012 he moved to the Sunshine Coast and began playing futsal again at a local and representative level, competing and winning in multiple tournaments (listed below). In 2015, he was approached by South Brisbane Futsal Club to be a part of their National League squad and competed with them in the F-League as well as other major tournaments (achievements listed below). After a successful debut season, he was selected to go to a training camp with the Australian National Team (Futsalroos), prior to their selections for the AFF tournament. He is still currently playing at the highest level locally, regionally, interstate and nationally. As a coach, he takes his knowledge from different teams and mentors and applies his own philosophies. His first taste of coaching at a high level was when he was asked to be the assistant coach to the Queensland Youth women’s team. From there on he has been the assistant coach and goalkeeper coach of the South Brisbane women’s team (F-League) and head coach of the U16 Boys and Youth Men Queensland teams. 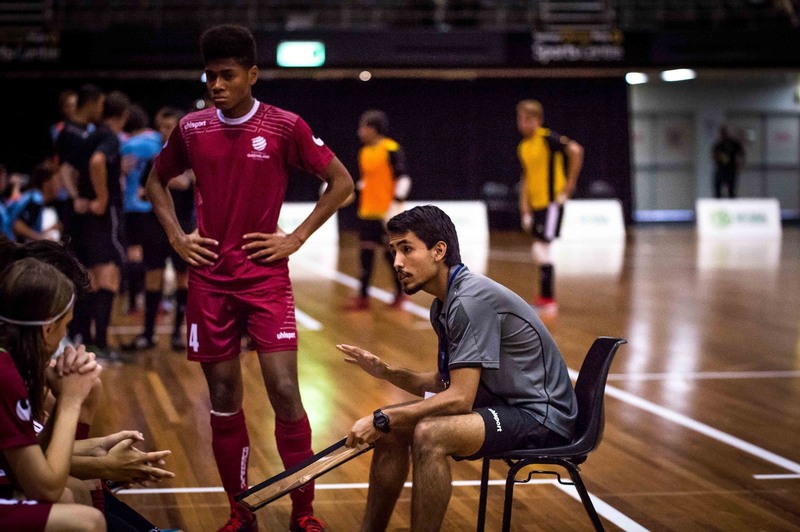 Yoel’s aim as a coach is to develop local players to their best ability and appreciate the beauty of futsal. Below is a list of some of his qualifications and achievements as a coach.